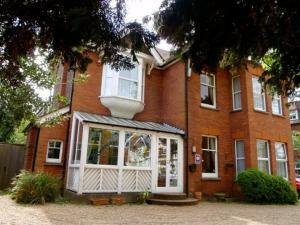 Located in Guildford, Atkinsons Guesthouse offers accommodation with free WiFi access throughout and on-site private parking facilities free of charge..
A 4-minute drive from Brentford Train Station, Novotel London Brentford lies less than 8 miles east of Heathrow Airport. This contemporary west London.. 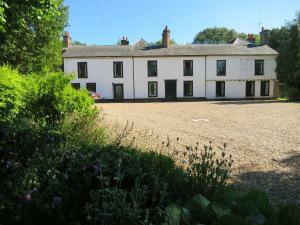 Featuring free WiFi, Sleep 'n' Eat offers accommodation in Ascot. Free private parking is available on site. 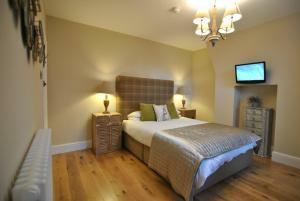 All rooms include a flat-screen TV with .. Situated in the village of Blewbury, Ashbrook Lets is set within the grounds of a listed Grade II manor house. 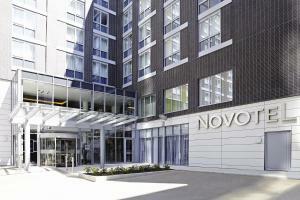 It offers modern self-catering apartmen.. Featuring free WiFi throughout the property, Mucky Duck Inn offers pet-friendly accommodation in Alfold. Guests can enjoy the on-site restaurant. 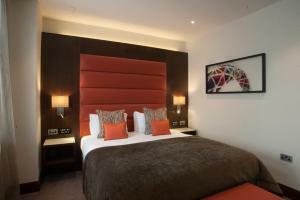 Free..
Premier Inn London Kingston Upon Thames offers accommodation in Kingston upon Thames, just a 5-minute walk from Kingston Train Station. Guests can enj.. 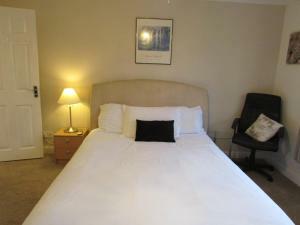 Featuring free WiFi throughout the property, Windsor Five-Star Guesthouse is set in Windsor, 1.9 km from Windsor Castle. Free private parking is avail..
Wimblehurst Hotel is a Victorian villa situated in an acre of landscaped gardens and offers free on-site parking. Horsham Railway Station is just a 5-.. 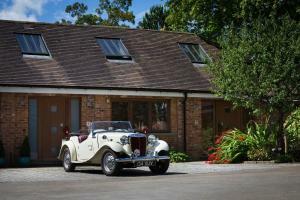 In the South Downs National Park, around 5 miles from Haslemere, The Barn at Roundhurst offers luxurious accommodation in a restored 17th-century West..
Overlooking Wembley Stadium, St George's Hotel - Wembley is just 20 minutes’ drive from central London and 45 minutes’ drive from London Heathrow .. 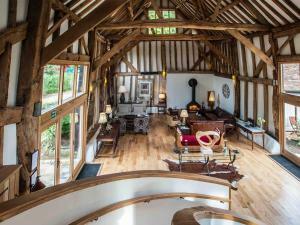 Built on one of Henry VIII’s old hunting spots, Innkeeper's Lodge Weybridge is located 1.5 miles from Weybridge city centre and 5 minutes’ drive f..
Offering a restaurant and a bar, The Trooper Inn is located in the market town of Petersfield, Hampshire. There is free parking and free Wi-Fi access .. In the heart of Winnersh village, The pheasant Inn is a traditional pub and hotel offering spacious bedrooms and homemade, hearty food. There is also ..
Alma House B&B is located in Windsor. Free WiFi access is available. 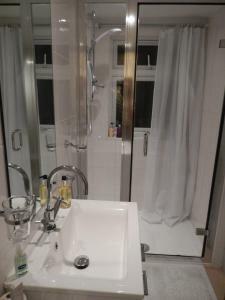 Complete with a refrigerator, the dining area also has an electric kettle and a d..
Set within 4 acres of gardens and woodland, The Old Manor House Bed and Breakfast is located in Shepperton. 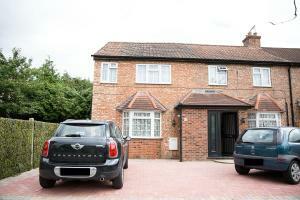 Just 5 miles from London Heathrow Airport,.. 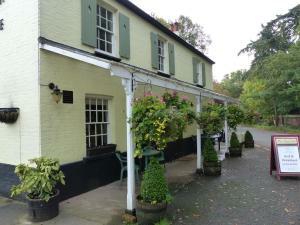 Featuring free WiFi and a sun terrace, The Jolly Farmer offers pet-friendly accommodation in Bramley, 45 km from London. Guests can enjoy the on-site .. Featuring free WiFi, a restaurant and a children's playground, White Hart offers pet-friendly accommodation in Alton, 43 km from Southampton. Guests c.. 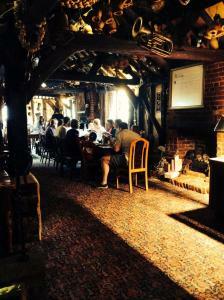 Featuring free WiFi throughout the property, The Jolly Drover offers accommodation in Liss, 40 km from Southampton. Free private parking is available ..